"NTU truly shaped who I am. I have become much more confident when meeting new people and I feel a lot more focused about my future now than I ever have. I have learned over the past three years what I like and don't like academically, and that has really helped me decide what to do now I've graduated. "I am currently working on a research project that is aiming to unveil whether carabids can be used as ecological indicators between sites of different ecological status, during the dry phase of temporary rivers. "My typical day can involve working in the lab, identifying different species that have been collected via hand-search / pitfall trap, while also working on the manuscript for the project. "Since leaving NTU, opportunities seem to be opening up for me. I have been trained to conduct MoRPh surveys and also been offered the chance to further my education. "Brackenhurst was the best campus I could have asked for. The staff are incredible as they genuinely care about you and try to make sure you get the results you deserve. 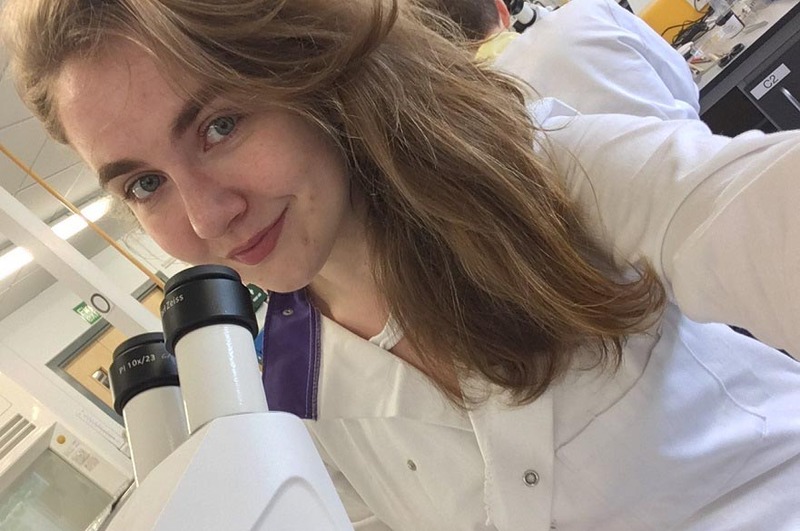 "My highlight in my career so far has definitely been achieving my first class honours degree in BSc Wildlife Conservation, as well as going straight into a short research placement. I feel like I have some really great experience under my belt now and I know it will help me to get the career I want."